When it comes to selling your home, there are costs involved in the sales process that are unavoidable. Aside from solicitor’s fees, there are the fees you pay to your estate agent to sell your house. In recent years there has been an increase in online estate agents who’s main selling point is reduced fees, in comparison to high street estate agents. But like most things in life, just because you pay a cheaper price, does it mean you get the same level of service. There is no comparison for local knowledge, and this is where local estate agents such as James Kristian have the advantage over online sales portals. A recent study carried out by getagent.co.uk, a comparison website for estate agents, analysed homes listed by the top four online agencies over a period of 12 months. On average homeowners who listed properties online completed on only 53% of their listings. By comparison the Home Owners Alliance consumer group states that, traditional high street estate agents complete on more that 84% of their listings. This indicates two things, firstly that sellers may think they are going to get a sale for a lower fee by going online, but when the sale fails to materialise they switch to a local high street agent to complete the sale. Secondly, they end up paying two sets of fees to secure the sale, as online agents charge their fee up front, which are more often than not non refundable. Additionally, online estate agents basic costs rarely include services that are included as standard from high street estate agents. Indeed this has led the Governments National Trading Standards team, who are the body in charge of policing the estate agency industry to issue the below warning. ‘We’ve seen many examples of online agents making unsubstantiated claims about fees when compared to traditional or high street agents. ‘It’s wrong to make general claims about savings when the headline price does not include facilities such as a sales board, floor plans, photographs, accompanied viewings or other facilities normally included with traditional firms,’ says National Trading Standards spokesman James Munro. So while it may seem cheaper to use an online agent initially, it can actually cost you double the fees, once you switch to a local estate agent to complete the sale. The high street agent gives you the personal touch. Another common factor of using online agents is you end up speaking to a different person each time you call for an update on your property. Essentially you are calling a national call centre. The Home Owners Alliance notes that it’s not uncommon for vendors to have to wait on hold for lengthy periods of time, before being able to speak to someone about their query. With a traditional agent there are no hidden costs, however with an online agent you may have to pay additional fees for items such as floor plans and professional photographs, and after sales support. Hidden costs mount up and will end up costing you more that you bargained for. When it comes to viewings if you list for sale online, then you will be responsible for scheduling and carrying out viewings with potential vendors. So you will need to be comfortable with this process as well as having to act as your own salesperson. This could include having to create your own sales adverts, as well as managing and responding to buyer enquiries, arranging and conducting viewings, and carrying out negotiations to secure the offer you want for your property. These tasks are all done as standard by a traditional estate agent, who are trained and experienced in carrying out viewings, with sales experience to secure you the best price. Additionally after sales support is crucial to completing on a property, online estate agents can’t call a buyers solicitor to push along a sale. This can only be carried out by a property professional, which can slow the sales process down considerably. So selling online loses the benefit of the middleman service you get with a local high street agent, this can add stress and time to the process. Another crucial factor that sets out the high street agent from the online one is local knowledge. There is no substitute for knowing the local area when it comes to answering queries, which a good local estate agent should pride itself on. Additionally when it come to setting a valuation for a property, high street agents are aware of local market trends and pricing levels for the area, which is something that online agents may not be able to match. Plus you only pay when your property sells, paying a cheaper fee up front to an online agent may be tempting, but this more often than not turns out to be a false economy. It only turns out to be cheaper if the property actually sells; otherwise you have paid a substantial fee up front for a very expensive listing. 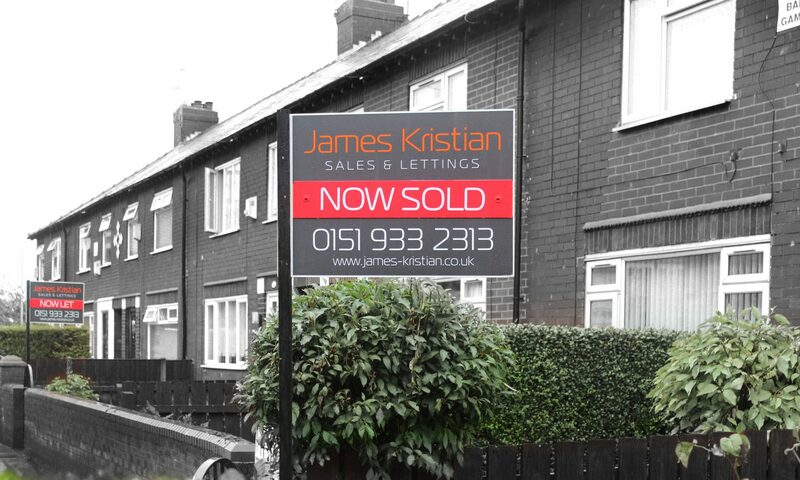 Experienced local estate agents such as James Kristian achieve the best possible price for our customers without up front costs, or risk. Providing high quality personalised service for you on both value and saleability, to achieve you the best price from the sale, with minimum fuss to you. So if you’re looking to sell a property, and you want the sale to be carried out by an experienced sales team, who understand the importance of good communication, then don’t hesitate to contact us. 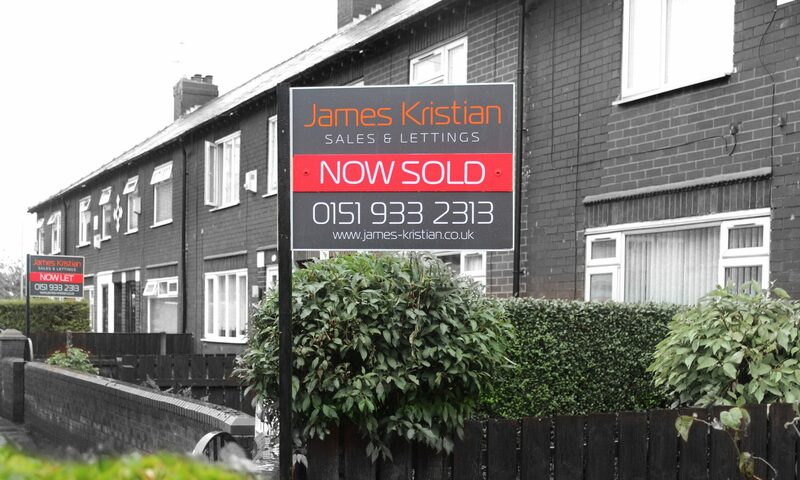 James Kristian has over 20 years experience in selling properties for the best price. Understanding your unique needs to sell your property quickly. Previous PostPrevious Looking for a Property Portfolio Building Service in Liverpool?